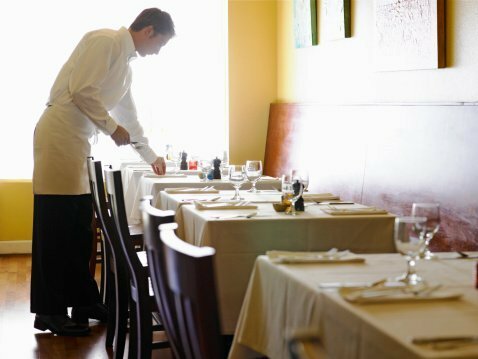 Waiters perform one of the most critical jobs at any restaurant. They aren’t just the main point of contact for customers, they’re also the de facto representatives of the establishment when customers talk about their dining experience. Even though good food plays a primary role in achieving customer satisfaction, excellent service can prove to be just as important, if not more. It is, therefore, essential for a food business to ensure their waiting staff are well-trained, has the right attitude to interact with patrons, and understand their responsibilities well. If the staff truly understands all these factors and performs their duties right, they can expect great rewards, too. It’s easily a win-win for all, especially for the customers. The responsibilities of a waiter exceed beyond merely serving meals and desserts. With their good manners, timely services, and even personal hygiene, it’s in their hands to create an experience that most customers seek in a good restaurant. Even average-tasting food could receive rave reviews if the service is good enough to supplement it. Hence, if you believe that the key responsibility of a waiter is to just serve food, you are wrong. The primary duty of a server is to actually keep customers happy. This involves a number of factors. If you are working at a high-end place, patrons will expect you to have a comprehensive knowledge of the menu as well. At times they may even ask for recommendations. By then, you would be expected to make a judgment call as to what customers might, which isn’t always a giveaway as veteran servers would tell you. Additionally, there are tasks that not many would expect a waiter to do, but nevertheless still fall under their responsibilities. For instance, anticipating the needs of the table and fulfilling them before customers realize it. This may include, refilling an almost empty glass of wine, or promptly picking up the cutlery that may have fallen on the floor and replacing it with fresh one. Whether a customer expects them or not, all of these practices fall under the responsibilities of a server. If they perform well, there is no way customers or the manager won’t notice and reward it. The performance of a waiter is crucial for the future of not only the restaurant but the waiter as well. Besides the taste and food quality, the single most significant factor that impacts the overall experience of the customers is the service of the waiting staff. A waiter is a mirror image of the restaurant’s culture and atmosphere. If they are dressed well and maintain good hygiene, it will be translated as the restaurant maintaining high standards in its operations. If the waiting staff is highly knowledgeable about the menu and the ingredients of the dishes served, it will mean that the restaurant knows its business well. For instance, if the eatery specializes in Chinese food, it will be considered an authority in that particular cuisine. Additionally, the performance of the waiting staff is crucial for their careers as well. If they give priority to the needs of their customers and not compromise on the values of the establishment, they will notice that not only will customers reward them with high tips, the restaurant management will also appreciate them in different ways. While it may take you some time to master the art of judging customer needs and making suggestions, other things that make someone a good waiter are quite simple. The fact is that the waiter doesn’t have any control over how the food tastes, but they have so much that they can do to make the customers forgive even a bad tasting dish. The physical aspect of this doesn’t amount to much. It is mainly about a change of mindset that can achieve all of this. We discuss some of these factors below and see how little things can help bring change for you as a waiter. Even if you feel that the customer is unreasonable, you must never disagree with them. If they say the food is cold, overcooked, tasting bad, etc. they are right. If they say they ordered something completely different from what you thought, no matter how sure you are, agree with them and apologize. You are in the customer service business, so it’s essential to make customers feel valued. This,of course, doesn’t mean that you should agree with demands that go against the very policy of your restaurant, but you should make efforts to understand the customer’s point of view and look for ways to satisfy them. If there is something that falls beyond your authority, you can seek the assistance of your manager and try to resolve the issue. It is all about facilitating the customers in every way possible, and not giving them any reason to be unhappy with their experience. Every waiter should have complete knowledge of what’s on the menu. The menu exists to assist customers and not the servers. Therefore, you must know all the items by heart. Customers will likely have questions about different dishes or ask for recommendations. Unless you are aware of the menu right down to the various ingredients of the dishes, you won’t be able to satisfy their query. Another critical factor to be aware of is the different food allergies. Since it is a health issue, you must pay extra attention to it. To gain complete knowledge on the subject, you can take a training courses that can educate in different kinds of food allergies and also teach their causes. If a customeris ordering a dish that has an allergen, you must inform them about it. Even if they don’t have that allergy, it will create a caring image of the restaurant. This is mainly about anticipating the needs of the table and then acting upon them. For instance, if the table is running out of bread, you can ask the customers if they would like to have some more. Similarly, if you notice that customers have spilled wine or water on the table, you must rush to help and clean it up. You have to be aware of customers’ needs without being overbearing and irritating. Maintain a distance so that patrons don’t feel uncomfortable by your presence. Also, avoid approaching the table until you believe that a customer needs your services. Having eyes on drink levels, or closed menus can help, even the confused look on the faces of customers can help you judge when they may need you. Your behavior can go a long way in creating a lasting impression on customers. People make an effort to come to the restaurant. At times, they book in advance or are accompanied by their loved ones. The way you deal with them must be considerate of all these factors. Keep a pleasant smile on your face and greet them nicely when they arrive so that they feel welcomed. Remain patient throughout and don’t rush things. They must think that they have your undivided attention. It will make them feel important. Apologize if something bad happens, and thank them for coming when they are leaving. Since customers don’t have access to the kitchen, they judge hygiene standards from other things in the restaurant. Therefore, it is crucial that you keep a neat look with clean clothes, washed hands, and trimmed nails. Furthermore, you are responsible for maintaining the hygiene levels at the table. If the tablecloth is dirty, have it replaced, if the utensils have fallen on the floor, replace them, if customers are waiting for their complete order to arrive before they start eating, cover the items that have already arrived. This will not only keep the food warm, but will protect it against minor pollutants like dust, flies, or even hair. On a personal level, you must smell and look good while on the job. A waiter plays a crucial role in building the image of a restaurant. In some cases, they don’t just contribute to the dining experience, THEY are the experience. Therefore, it is vital that besides basic food handling and service, servers should also be aware of what else can be done from their part to provide an excellent dining experience to all the customers that come their way. This includes knowing the menu, being attentive to customers’ needs, and providing a hospitable and engaging experience. This will not only result in better tips and other benefits for the waiters, but will also improve the overall image of the restaurant. As a bonus, check this FREE course on how you can get more tips by providing excellent service as a waiter.